Updated: 10th May 07:15 local time. The ongoing eruptive activity that started in December 2015, had a short period of rest between the end of February until the end of March. 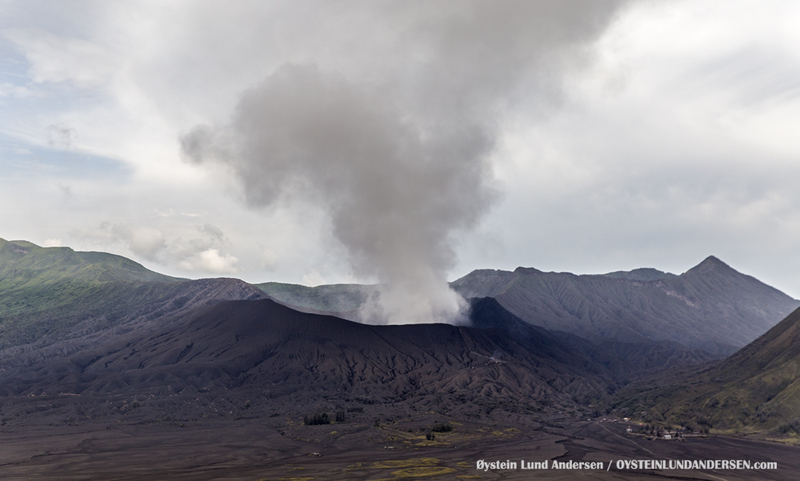 During this period the activity was dominated by degassing but no ash-venting/eruptions. 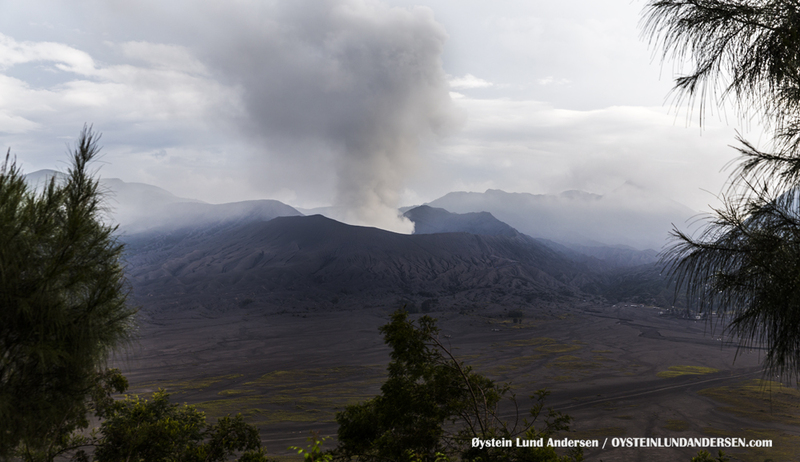 The Indonesian Volcanology Survey (PVMBG) noted a increase in seismic activity in the first week of April, that was followed by new eruptive activity, similar to the activity during December-February. During the second week of April, the activity decreased again and only weak to moderate degassing plumes have been observed during until first week of May. Note: The eruptive phase might still be ongoing. During the 7-9th May only weak to moderate degassing plumes was observed. 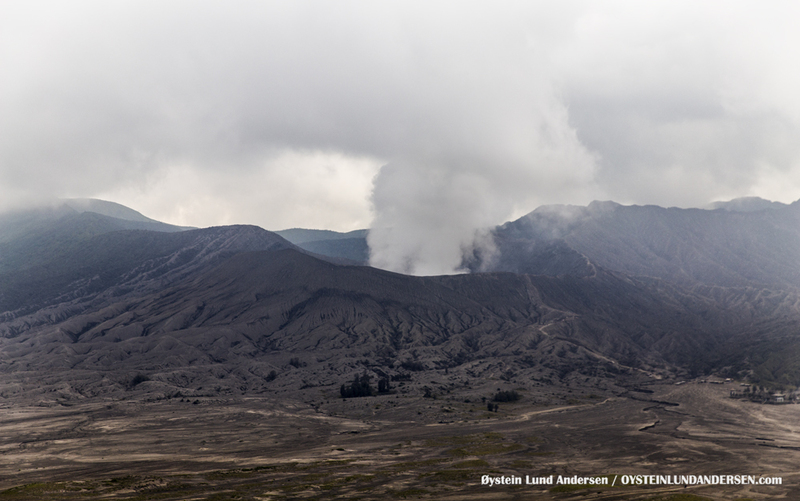 On a brief visit (sulphur gas made the visit rather unpleasant to the eyes) to the crater area on the 8th May, traces of the recent volcanic eruptive activity was observed. A ash layer coated the area, but no larger volcanic bombs or blocks were found. 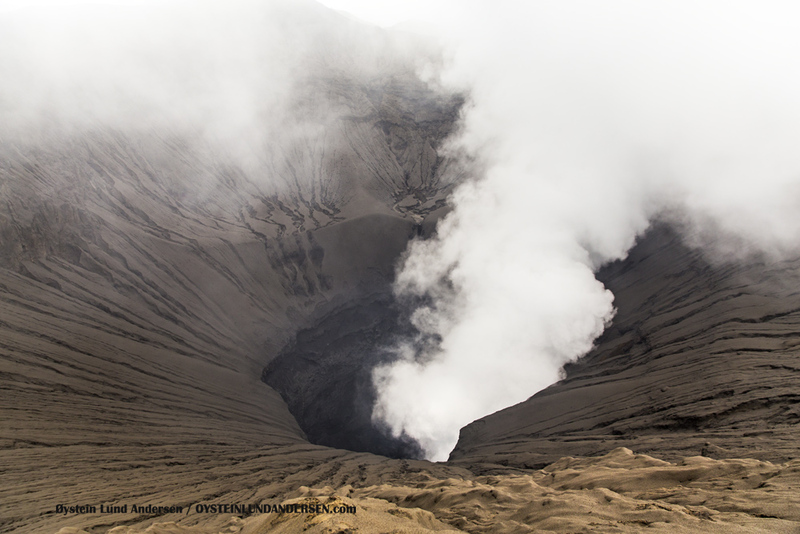 The crater vent was observed, and the northern part was seen to be clogged with accumulated volcanic material, and the degassing plume was originating in the southern part of the crater. 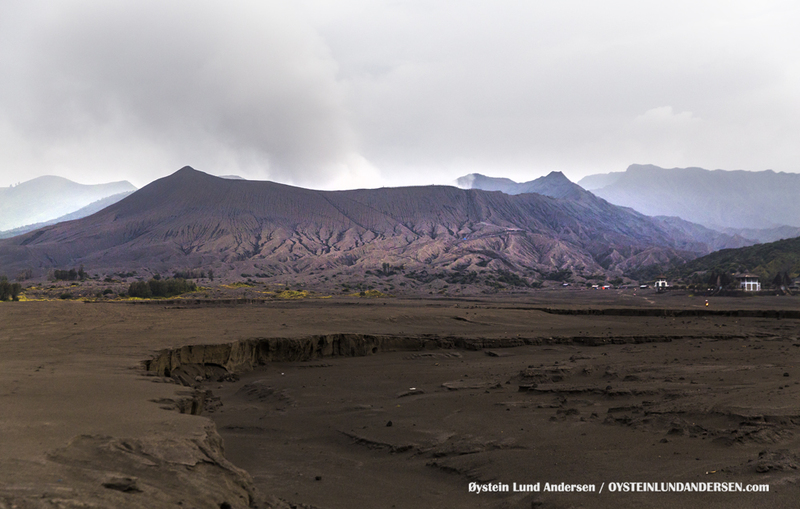 This might indicate that the recent eruption might have been originating from the sourthern part of the crater. Moderate steam plume in the afternoon. 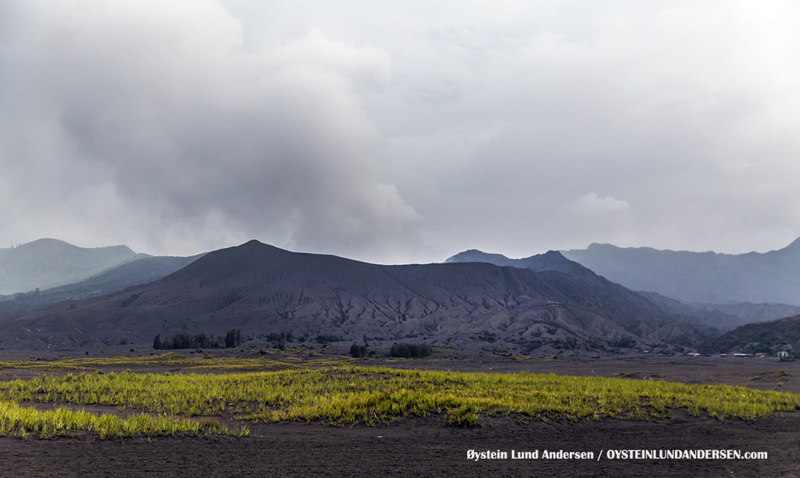 The riverbed of a lahar (cold lava) flow in front of Bromo. First visit to the crater in 2016. 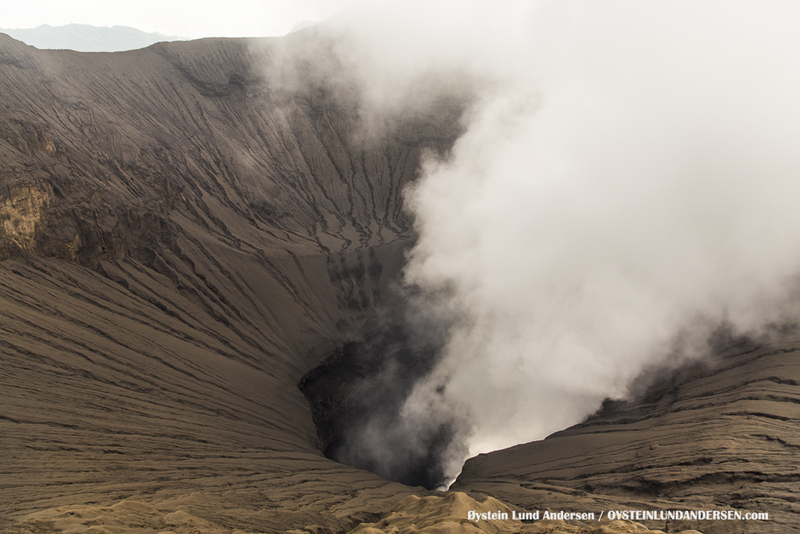 Fresh ash have coated the crater area, after the eruptions that lasted from December 2015 – April 2016. 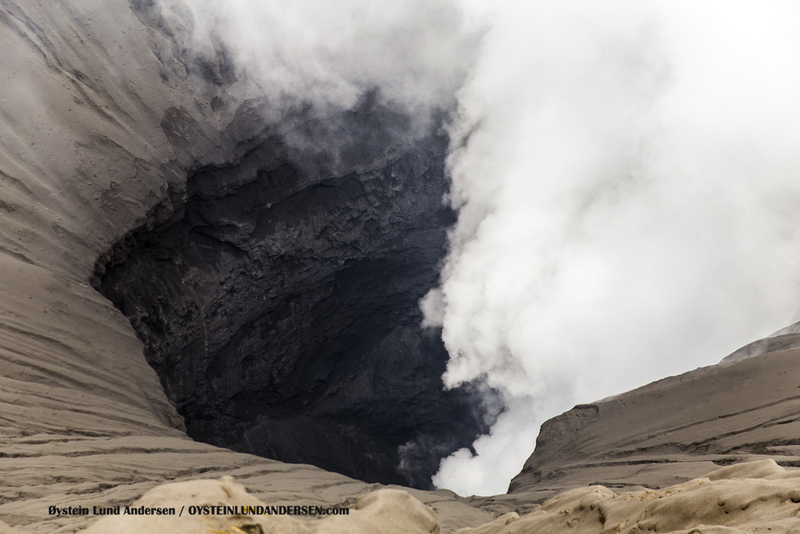 The northern part of the crater/vent seem to be clogged with accumulated volcanic material from the last eruption. 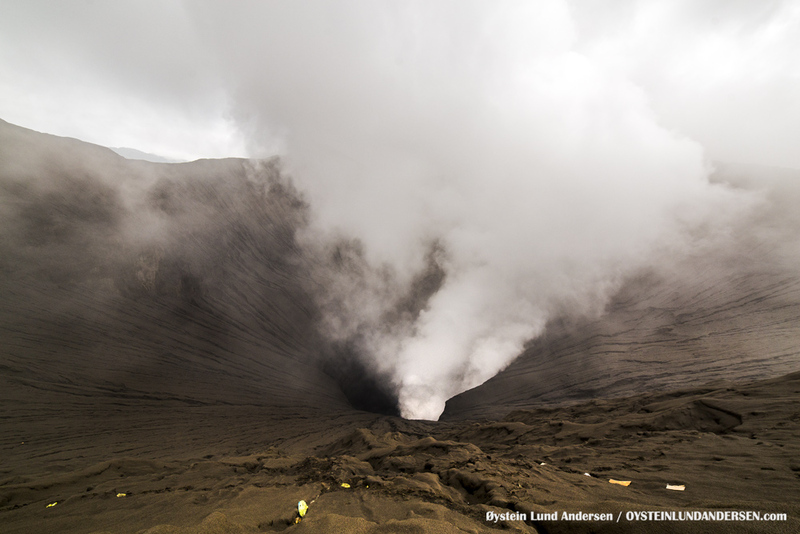 This may indicate that the source of the last eruption was located in the southern part of the vent.